Notes: RL My Pretty Sudden is another very cute daughter of A Sudden Impulse. She has produced both Halter and Performance ROM Earners. Her foals have earned 139.5 AQHA Points and $4059.65 in NSBA Earnings. If you wish to print this report click the print button on your browser. Click the back button on your browser to view another report or to return to the main menu. RL My Pretty Sudden is the Dam of 6 Foals of which 3 were Performers. + RR MY SUDDEN CAREER, 2006 Sorrel Gelding by Potential Career. Intermediate Rookie of the Year 11-Under/7th Place (2014-Youth); Halter Register of Merit (2014-Youth); AQHA Champion (2014-Open); Qualified Perf Halter Gelding World Show (2013-Amateur); Qualified Perf Halter Gelding World Show (2013-Open); Qual Perf Halter Gelding Sel World Show (2013-Amateur); Halter Register of Merit (2013-Amateur); Qualified Perf Halter Gelding World Show (2012-Open); Qual Perf Halter Gelding Sel World Show (2012-Amateur); Qualified Perf Halter Gelding World Show (2011-Amateur); Qualified Perf Halter Gelding World Show (2011-Open); Halter Register of Merit (2011-Open); Qualified Perf Halter Gelding World Show (2010-Amateur); Performance Register of Merit (2010-Open). Earned: 20 Performance Wins; 71.0 Performance Points; 25 Halter Wins; 93.0 Halter Points; 10 Novice Wins; 71.5 Novice Points; 1 Performance Register of Merit; 1 AQHA Championship; 2 Grand Championships; 5 Reserve Grand Championships; 2 Reserve All Around Championships; 3 Halter Register of Merits. Other Earnings: AQHA Incentive Fund $1,386.14; National Snaffle Bit Association $144.00. + TD a Blazin Impulse, 2007 Sorrel Gelding by RR Future Dimension. Ridden in Horseback Riding Program (2012-Open). Earned: 1.0 Performance Points; 8 Novice Wins; 19.5 Novice Points. Other Earnings: National Snaffle Bit Association $49.50. + My Sudden Machine, 2008 Bay Gelding by A GOOD MACHINE. Quali Western Horsemanshp Sel World Show (2014-Amateur); Performance Register of Merit (2014-Amateur); Performance Register of Merit (2013-Open); Regional Exp Select Western Horesmanship/5th Place (2013-Amateur) (Region Nine – West Monroe, LA); Reg Experience Select Western Pleasure /4th Place (2013-Amateur) (Region Nine – West Monroe, LA); Regional Experience Western Horsemanship/9th Place (2013) (Region Nine – West Monroe, LA); Regional Experience Western Pleasure /3rd Place (2013); Earned: Nine – West Monroe, LA); 13 Performance Wins; 46.5 Performance Points; 4 Novice Wins; 17.5 Novice Points; 2 Performance Register of Merits. Other Earnings: AQHA Incentive Fund $556.36; National Snaffle Bit Association $4,059.65. + Once Ina Sudden Moon, 2010 Bay Mare by Only in the Moonlite. 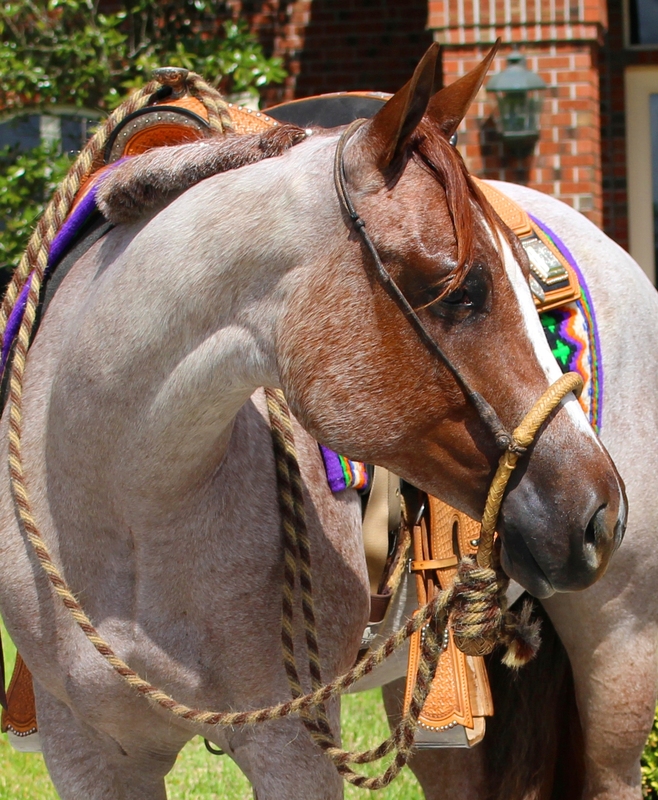 + Queen of Suggestions, 2015 Red Roan Mare by Open for Suggestion. + Pretty Suggestions, 2015 Red Roan Mare by Open for Suggestion. Additional Information for RL My Pretty Sudden: Genotype on file with AQHA as a result of either being blood-typed or DNA tested. Nominated as an Incentive Fund Foal. This horse was embryo enrolled in 2014. By A SUDDEN IMPULSE. AQHA Leading Nsba Sire (2002-Open); Qualified Jr Western Pleasure World Show (1995-Open); World Champion Jr Western Pleasure (1994-Open); Performance Register of Merit (1994-Open). Earned: 4 Performance Wins; 28.0 Performance Points; 1 Performance Register of Merit; 1 World Championship. Other Earnings: AQHA Incentive Fund $831.82; AQHA World Championship Show $2,231.37; National Snaffle Bit Association $5,449.69. A SUDDEN IMPULSE Sired 495 Foals of which 225 were Performers. Performance of these Foals: Earned: 6,491 Performance Wins; 18,037.0 Performance Points; 1,109 Halter Wins; 1,593.5 Halter Points; 1,985 Novice Wins; 5,421.5 Novice Points; 8 Equestrians with Disabilities Achievement Wins; 10.5 Equestrians with Disabilities Achievement Points; 225 Performance Register of Merits; 5 World Championships; 5 Halter Superior Awards; 101 Performance Superior Awards; 21 AQHA Championships; 1 Supreme Championship; 6 Performance Championships; 2 Reserve World Championships; 198 Grand Championships; 405 Reserve Grand Championships; 1 Versatility Award; 781 All Around Championships; 643 Reserve All Around Championships; 1 High Point Earned; 1 Reserve All Around High Point Earned; 36 Halter Register of Merits. Other Earnings: AQHA Incentive Fund $312,775.94; AQHA World Championship Show $80,624.74; National Snaffle Bit Association $642,203.27; Palomino Horse Breeders Hlt Points 58.0; Palomino Horse Breeders Perf Points 1,000.0; International Buckskin Perf Points 18.0. A Star Born Blazin is the Dam of 10 Foals of which 3 were Performers. 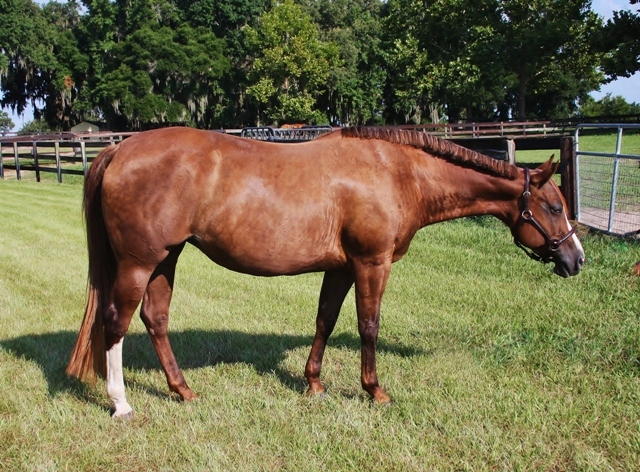 + RL My Pretty Sudden, 2002 Chestnut Mare by A SUDDEN IMPULSE. See Horse Being Requested for Foals. + RR Cool Career, 2006 Bay Gelding by Potential Career. Performance Register of Merit (2011-Amateur). Earned: 10 Performance Wins; 35.5 Performance Points; 2 Novice Wins; 4.0 Novice Points; 1 Performance Register of Merit. Other Earnings: AQHA Incentive Fund $402.56. + She Hung the Moon, 2010 Brown Mare by Only in the Moonlite. Ridden in Horseback Riding Program (2015-Open). Earned: 0.5 Performance Points. + Simply Ziprageous, 2012 Bay Mare by ZIPRAGEOUS. Earned: 0.5 Performance Points. Other Earnings: National Snaffle Bit Association $6,554.70. Dam’s sire, BLAZING HOT. AQHA Leading Nsba Sire (2005-Open); Qualified Jr Western Riding World Show (1997-Open); Qualified Jr Western Pleasure World Show (1997-Open); World Champion Jr Western Pleasure (1996-Open); World Champion Jr Western Riding (1996-Open); High Point Western Pleasure /7th Place (1995-Open); High Point Jr Western Pleasure /5th Place (1995-Open); World Show Jr Western Pleasure /4th Place (1995-Open); Superior Western Pleasure (1995-Open); Performance Register of Merit (1995-Open). Earned: 17 Performance Wins; 96.5 Performance Points; 1 Halter Win; 2.5 Halter Points; 1 Performance Register of Merit; 2 World Championships; 1 Performance Superior Award; 1 Grand Championship; 1 All Around Championship; 3 Reserve All Around Championships. Other Earnings: AQHA Incentive Fund $2,964.30; AQHA World Championship Show $7,221.23; National Snaffle Bit Association $28,035.64. BLAZING HOT is the Grandsire of 1,091 Foals of which 359 were Performers. Performance of these Foals: Earned: 3,859 Performance Wins; 12,872.5 Performance Points; 583 Halter Wins; 646.0 Halter Points; 1,239 Novice Wins; 3,900.5 Novice Points; 3 Equestrians with Disabilities Achievement Wins; 6.5 Equestrians with Disabilities Achievement Points; 190 Performance Register of Merits; 1 World Championship; 1 Halter Superior Award; 50 Performance Superior Awards; 4 AQHA Championships; 2 Performance Championships; 74 Grand Championships; 122 Reserve Grand Championships; 339 All Around Championships; 308 Reserve All Around Championships; 9 High Point Earned; 2 All Around High Point Earned; 9 Halter Register of Merits. Other Earnings: AQHA World Championship Show $36,763.81; National Snaffle Bit Association $569,707.31; DQHA $428.85; Palomino Horse Breeders Hlt Points 31.0; Palomino Horse Breeders Perf Points 325.0; International Buckskin Perf Points 14.0. Slippa Foxy Lady is the Dam of 13 Foals of which 6 were Performers. + God Blessed Texas, 1993 Chestnut Mare by Coosa Lad. Showed in 1 Show, but There were No Wins or Points Earned. + Coosas Prime Ticket, 1994 Sorrel Mare by Coosa Lad. Showed in 4 Shows, but There were No Wins or Points Earned. + MR SLIPA MICKEY, 1995 Chestnut Gelding by Coosa Lad. AQHA Champion (2000-Youth). Halter Register of Merit (1999-Youth). Performance Register of Merit (1999-Youth). Earned: 6 Performance Wins; 46.0 Performance Points; 4 Halter Wins; 22.5 Halter Points; 0.5 Novice Points; 1 Performance Register of Merit; 1 AQHA Championship; 3 Grand Championships; 2 Reserve Grand Championships; 3 Reserve All Around Championships; 1 Halter Register of Merit. + Moved by Money, 1996 Bay Stallion by POTENTIAL INVESTMENT. + A Star Born Blazin, 1997 Bay Mare by BLAZING HOT. See 1st Dam for Foals. + HF Blazing Radiance, 1998 Bay Mare by BLAZING HOT. Qualified 3 Yr Old Mare World Show (2001-Amateur). Qualified 3 Yr Old Mare World Show (2001-Open). High Point Intl Halter 2 Yr Old Mare (2000-Amateur). High Point Intl Halter 2 Yr Old Mare (2000-Open). Earned: 12 Halter Wins; 6.0 Halter Points; 4 Reserve Grand Championships. Other Earnings: AQHA Incentive Fund $187.62. 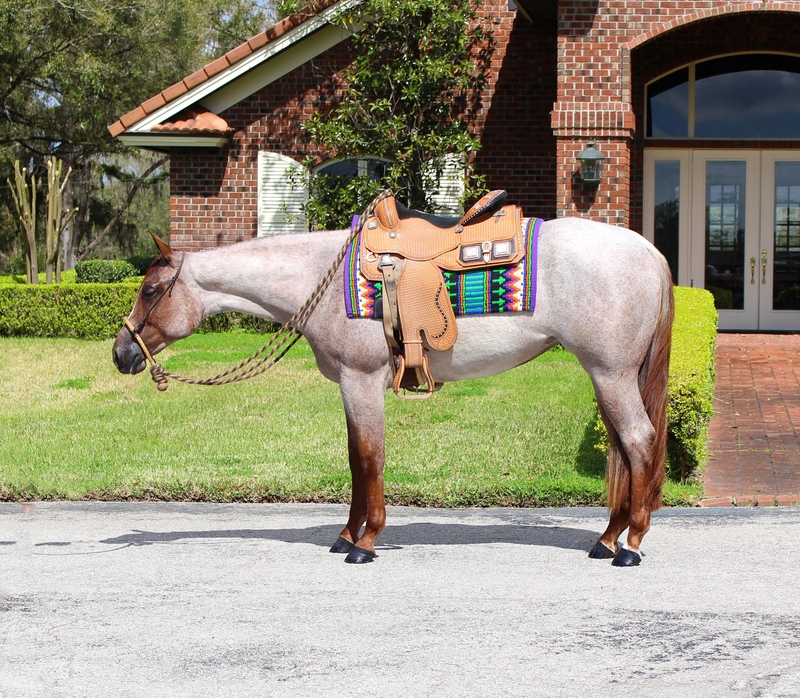 . . PJ Champagne Chip, 2005 Bay Gelding by ZIPS CHOCOLATE CHIP. High Point Intl Halter Aged Gelding (2012-Youth). High Point Intl Western Pleasure (2012-Youth). High Point Intl Halter Aged Gelding (2012-Open). Res Reg Experience Gelding 3 & Over (2011-Youth) Mooslargue, ). Regional Experience Showmanship /10th Place (2011-Youth) Mooslargue, ). Regional Experience Trail Horse /9th Place (2011-Youth) Mooslargue, ). Regional Experience Western Horsemanship/7th Place (2011-Youth) Mooslargue, ). Regional Experience Western Pleasure /8th Place (2011-Youth) Mooslargue, ). High Point Intl Western Horsemanship (2010-Youth). Performance Register of Merit (2010-Youth). Earned: 23 Performance Wins; 16.5 Performance Points; 16 Halter Wins; 13.0 Halter Points; 9 Novice Wins; 3.5 Novice Points; 1 Performance Register of Merit; 13 Grand Championships; 4 Reserve Grand Championships; 1 All Around Championship; 2 Reserve All Around Championships. . . Calm Blazing Whisper, 2009 Bay Mare by Deluxe Go Slow. Showed in 8 Shows, but There were No Wins or Points Earned. + HF Wind Dancer, 1999 Sorrel Gelding by BLAZING HOT. Regional Experience Working Hunter /6th Place (2005) (Region Five – Elmyra, NY). Res Reg Exp Equitation Over Fences (2005) (Region Five – Elmyra, NY). Earned: 2 Novice Wins; 3.0 Novice Points. Joe’s Bar Maid’s Performance Record. Earned: 3 Performance Wins; 11.0 Performance Points. Joe’s Bar Maid is the Dam of 7 Foals of which 4 were Performers. + Impressors Lil Joe, 1982 Sorrel Gelding by IMPRESSOR. + Conclusive Country, 1983 Sorrel Stallion by CONCLUSIVE. Performance Register of Merit (1986-Open). Earned: 3 Performance Wins; 19.0 Performance Points; 19 Halter Wins; 15.0 Halter Points; 1 Performance Register of Merit; 8 Grand Championships; 4 Reserve Grand Championships. + Slippa Foxy Lady, 1984 Chestnut Mare by Slippa Star. See 2nd Dam for Foals. + Sheza Tardee Maid, 1986 Chestnut Mare by TARDEE IMPRESSIVE. Earned: 1 Halter Win; 1.0 Halter Points; 1 Reserve Grand Championship. Other Earnings: AQHA Incentive Fund $31.67. . . Sheza Vista Tardee, 1992 Chestnut Mare by SONNY VISTA BAR. Showed in 3 Shows, but There were No Wins or Points Earned.
. . . Heza Fantasizer, 1998 Chestnut Gelding by PLAYGIRLS FANTASY. Showed in 17 Shows, but There were No Wins or Points Earned. . . Jae Bar Vista, 1993 Chestnut Stallion by SONNY VISTA BAR. Finalist Yearling Stallion World Show /20th Place (1994-Open). Halter Register of Merit (1994-Open). Earned: 63 Halter Wins; 16.5 Halter Points; 10 Grand Championships; 19 Reserve Grand Championships; 1 Halter Register of Merit. 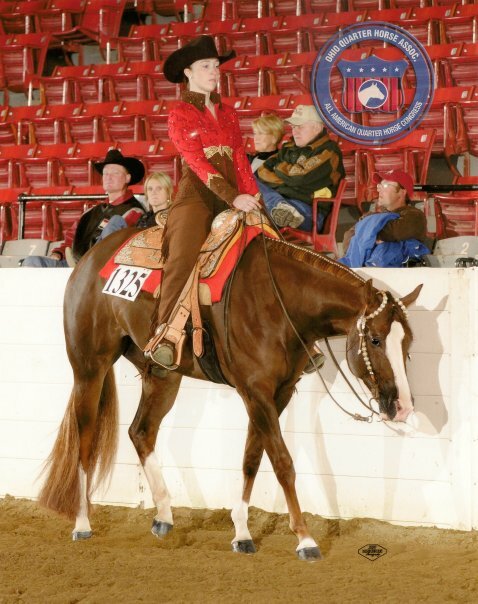 Other Earnings: AQHA Incentive Fund $482.10.
. . . Havocs Tardee Man, 2003 Chestnut Gelding by Causin Havoc. Earned: 1 Performance Win; 0.5 Performance Points; 5 Halter Wins; 6.5 Halter Points; 1.0 Novice Points; 5 Grand Championships; 3 Reserve Grand Championships. . . Sheza Maid Slip, 1995 Chestnut Mare by Cordero. . . Sheza Cody Doll, 1996 Chestnut Mare by Cordero. Earned: 5 Halter Wins; 1.0 Halter Points; 2 Grand Championships. Other Earnings: AQHA Incentive Fund $34.42. . . My Own Fantasy, 1998 Chestnut Mare by PLAYGIRLS FANTASY. Halter Register of Merit (1999-Open). Earned: 11 Halter Wins; 11.5 Halter Points; 2 Reserve Grand Championships; 1 Halter Register of Merit. Other Earnings: AQHA Incentive Fund $383.99. + Mr Vista Bar, 1989 Chestnut Gelding by SONNY VISTA BAR. Halter Register of Merit (1997-Open). Performance Register of Merit (1995-Amateur). Halter Register of Merit (1995-Youth). Halter Register of Merit (1995-Amateur). Earned: 21 Performance Wins; 20.5 Performance Points; 27 Halter Wins; 51.0 Halter Points; 7 Novice Wins; 10.0 Novice Points; 1 Performance Register of Merit; 11 Grand Championships; 20 Reserve Grand Championships; 5 All Around Championships; 9 Reserve All Around Championships; 3 Halter Register of Merits. Other Earnings: AQHA Incentive Fund $1,691.49.